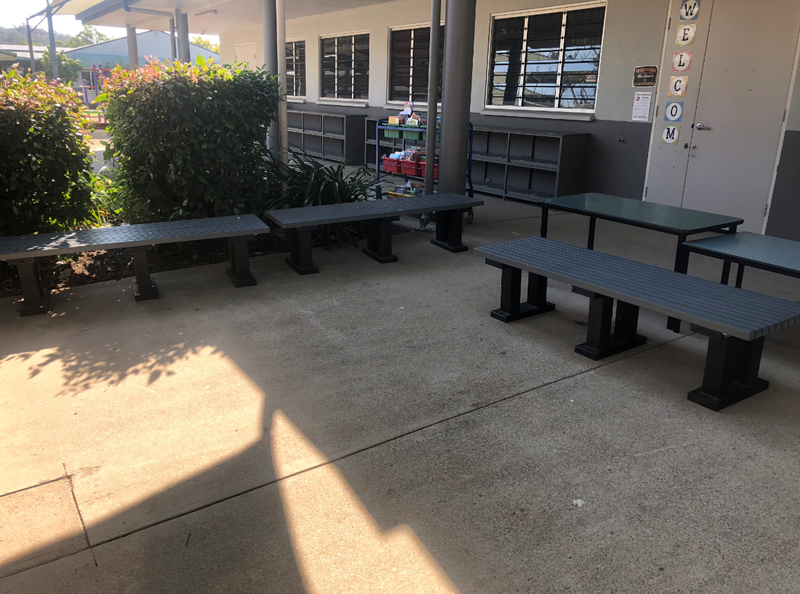 Located in Deeragun, Townsville is St. Anthony’s Catholic College who are the happy new owners of several Kookaburra Slimline benches placed in their courtyard. With 40+ recycled plastic benches from Replas installed throughout the school, principle Barry Homer is absolutely wrapped. 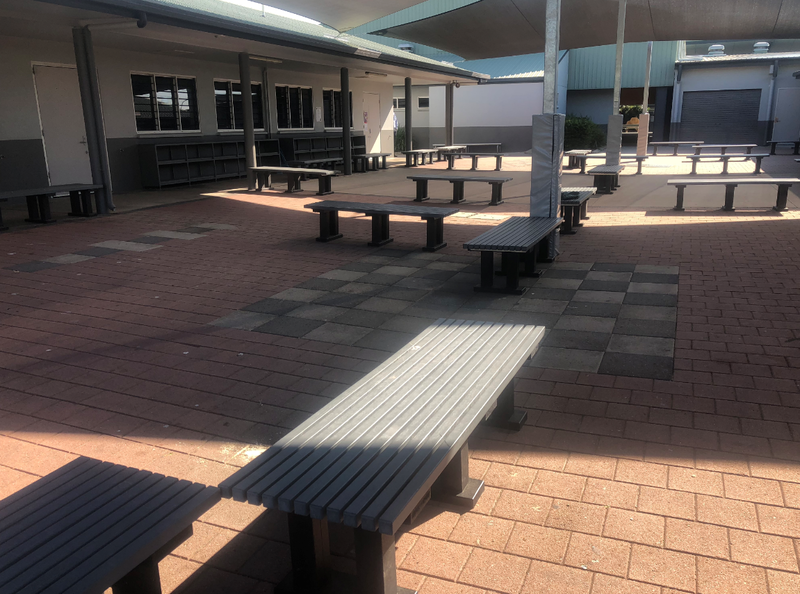 “These seats are used as an eating area and outdoor classroom for the students, and the width is great, it can sit up to 8 students,” Barry explained. The recycled aspect is great for the students to learn what they are really sitting on, saving thousands of pieces of plastic packaging from landfill. “The colour matches the rest of the school and it just works,” said Barry. 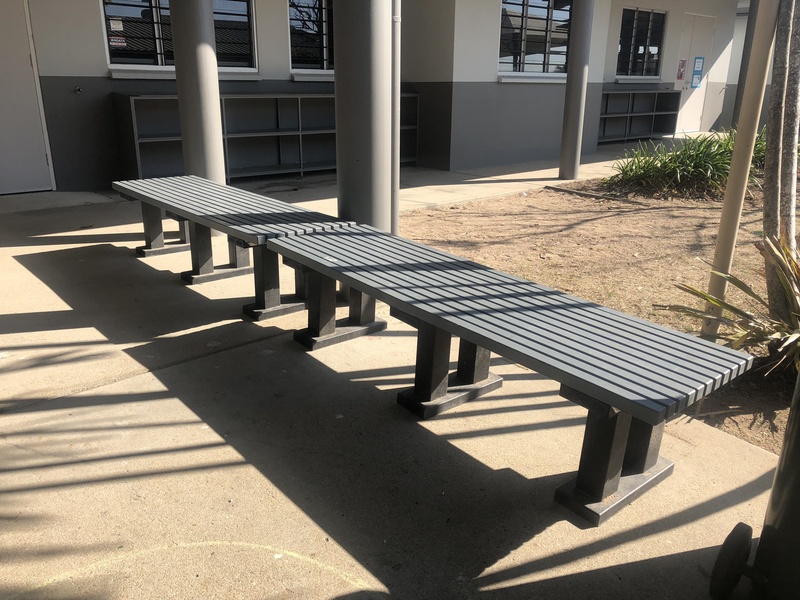 These free standing Kookaburra Slimline benches are designed for maximum comfort and will stand the test of time at St. Anthony’s Catholic College. The added bonus for school’s in choosing recycled plastic seating is the luxury of knowing that the products are safe for the students as they won’t rot, split or crack. A fantastic way for students to learn about recycling and the benefits it can have in and outside of the classroom by diverting the plastic from landfill.